Click here to sign up for Kali's newsletter! Kali's new yoga book is out! Click on image to get it. New course: Tattvabodha: Awakening to Reality, April 18-June 6. ONLY ONE SPOT LEFT! Our April 27-29 Spring Renewal Retreat at the beautiful Port for Prayer in Frankfort, IL is SOLD OUT; Waiting List available. Registration is open for our October 19-20 retreat. 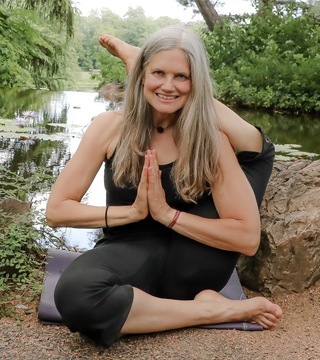 Join us Saturday May 18 for our Taming the Mind workshop - which includes philosophy, asana, pranayama, chakra-balancing and Yoga Nidra (Psychic Sleep). Registration is open for our 8th Belize Retreat, February 8-15, 2020. Only ONE cabana left! Interested in doing a teacher training / advanced studies course with Kali? More info here. Kali is available for private yoga lessons or workplace yoga in person or via Skype. Looking for a small class where you can make rapid progress? Join us for Sunday Dharma Yoga 10-11:30am at 3759 N. Ravenswood, Ste. 228B. Details here. The January issue of Yoga Chicago magazine featured a profile of Kali. Chicago media legend Rick Kogan interviewed Kali on his WGN-AM radio show; hear it here. Kali's new Beyond the Mat book is available on Amazon, Kindle, iBook, Kobo, Nook, and local bookstores. Which of the four main paths of yoga is right for you? Find out in this excerpt from Kali's new book. Interested in developing a home yoga practice? Click the image to read Kali's cover story. Kali completed 3 of Sri Dharma Mittra's Life of a Yogi teacher training programs, plus a refresher course. Click on the image to read her Yoga Chicago article about this life-changing experience. Kali teaches all levels of Dharma Yoga, Ashtanga Vinyasa Yoga, Hatha Yoga, therapeutics, breathwork, and meditation. She is available for private and workplace lessons, and teaches at 3759 N. Ravenswood, and area health clubs. She also leads workshops and retreats locally, around the US, and in Belize. Click here for her schedule.